Today has been a relaxing Mother’s Day in the midst of a marathon month of all kinds of end-of-the-school year activities! 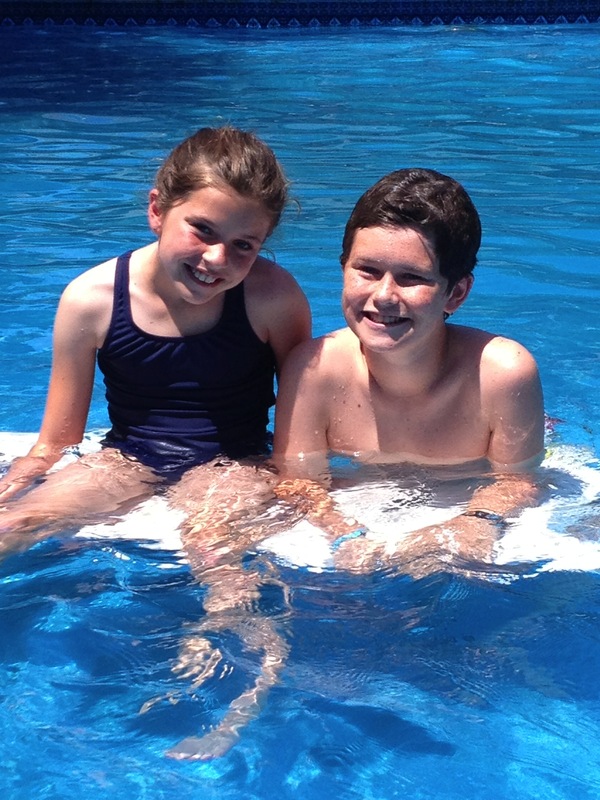 I’ve appreciated a day with no plan except to play in the pool! 🙂 I’m in a season of life where simple is sacred and today was beautifully simple. Mother’s Day is multidimensional for me…of course it’s a day to appreciate my own wonderful mother and be grateful for my mother-in-law who I genuinely love and respect…it’s also a day to remember the many “mother like” women in my life who have invested in me over the years and modeled what it means to be a woman of character and beauty…and, naturally, it has become a day for me to reflect on my own role as “mother” and the many ways I’m both blessed and challenged in that role. From the very start of my journey as a mom, I’ve had the perspective that I am entrusted by God to care for the children I’ve been given for a season and that my investment has eternal significance. Each of my children have enriched my experience with their own unique qualities and stretched me in ways I’m not sure I could be otherwise. Rudy, of course, has stretched me in ways I couldn’t have ever imagined which serves to make me even more aware of what a gift they all are and what an honor it is to care for them…even on days when it’s hard and I’m uninspired. Mother’s Day is also a day when my thoughts are with the dear women in my life who have lost a child…those who continue to navigate life with the heavy burden of a mother’s grief that may change shape over the years but is ever present…women for whom I am so grateful and through whom I have learned to see the beauty in every day of the journey for there is, indeed, beauty to see each and every day. There has been a song on Christian radio the past couple of years called “All of Me” that has been a favorite song of mine for some time. Ironically, it wasn’t until I really listened to the song recently that I realized it was about a child with a heart defect. 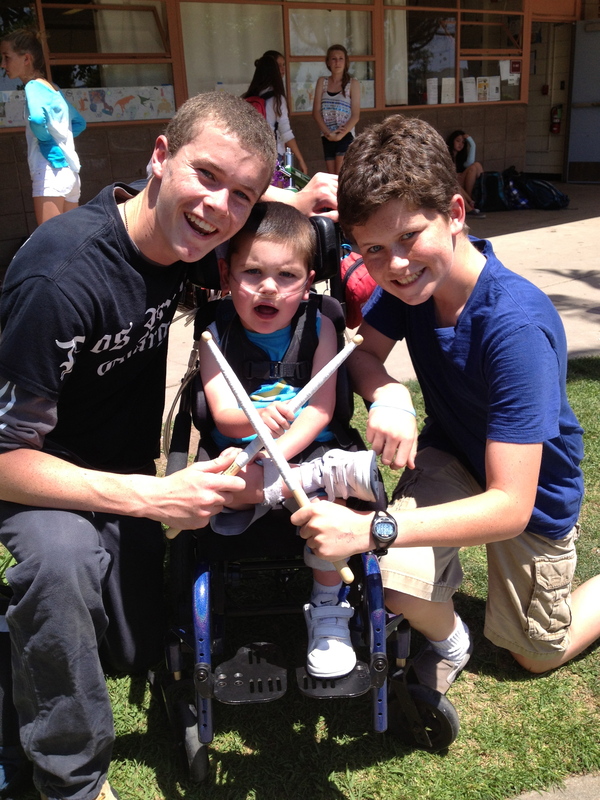 The song was written by Matt Hammitt whose son was born with HLHS three years ago and the song is about their bond. It’s a beautiful song that so clearly expresses this mama’s heart…an appropriate reflection on Mother’s Day. Click here Matt Hammitt’s “All of Me” to hear the song on youtube. It just so happened that this year’s family teacher appreciation dinner actually happened on “Teacher Appreciation Day”! We are, once again, blown away by the great people investing in our kids at school and so grateful for the community that surrounds our family. Thanks to Rolf’s foray into solar heat, there has been alot of “pre-season” swimming going on…much to Rudy and the big sibs’ delight! 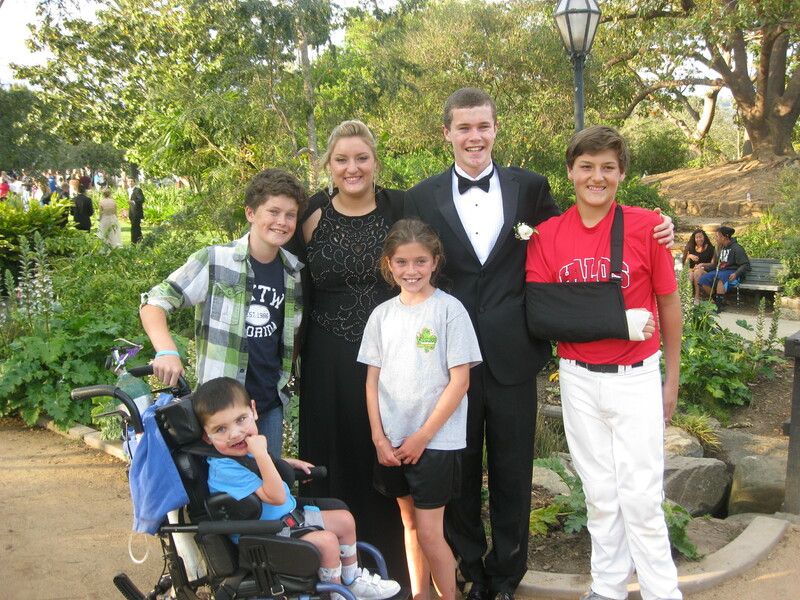 It was a big weekend of dancing as Wilson went to his first prom on Saturday. 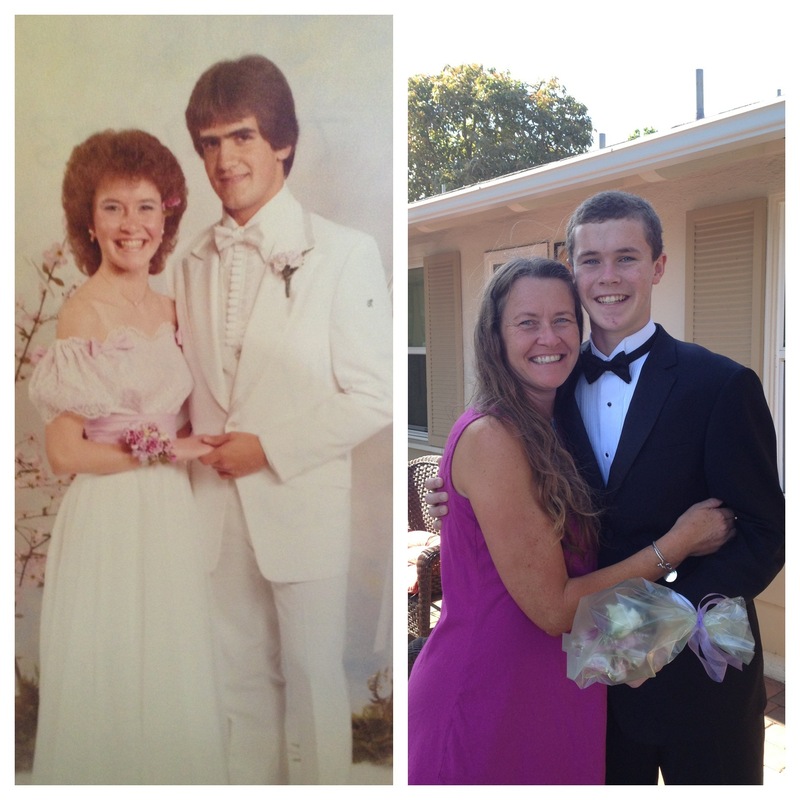 As I helped him get ready, it dawned on me that I went to my first prom this same week 30 years ago! ha ha Crazy!!!!! 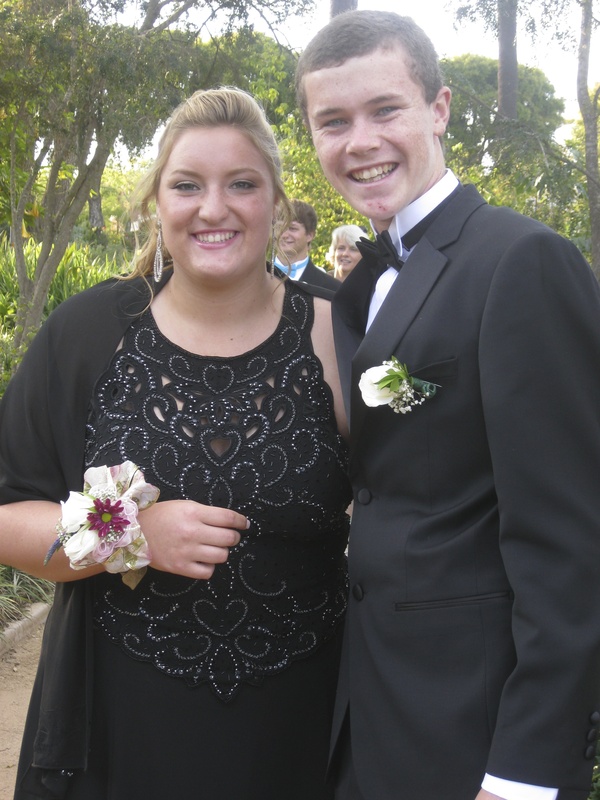 Wilson was invited to the Senior Prom by his good buddy Jennifer…super fun! 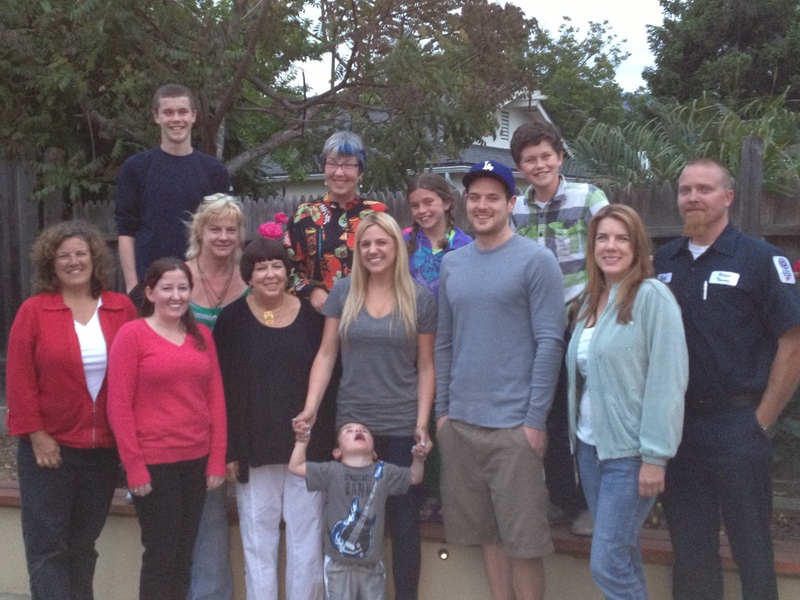 The whole family are fun friends…the Geyling and Jimenez sibs (sans David and Jackie). I thank God for the honor of being Mom to Wilson, Max, Olivia and Rudy. They’ve captured my heart and they have all of me…the good, the bad and, sadly sometimes, the ugly. 🙂 I pray by God’s grace they grow to be confident, faithful and joyful individuals who are self-aware and others-centered…and who know how very much they are loved. Previous Post Two Sides To Every Coin! Love the last picture of Rudy!! By the way, it’s great you found Matt Hamitt’s song. I heard him talk on the radio when he released the song and told their story. 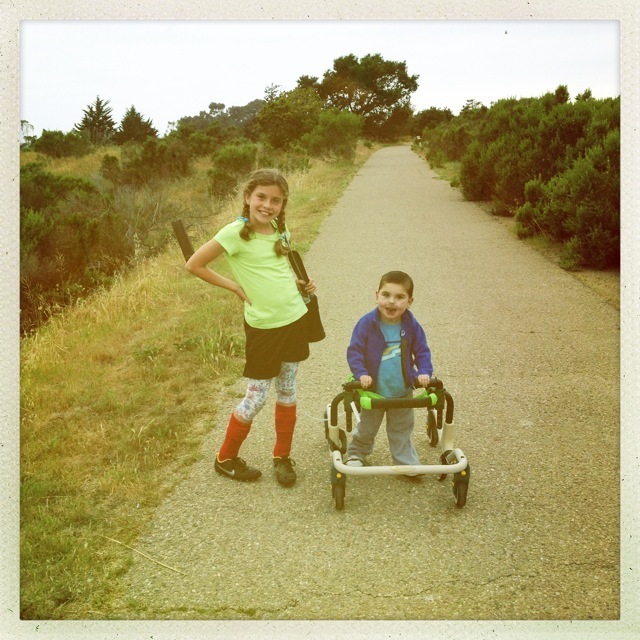 Thank you Trish, for reminding us what life (and life as a mother) is really all about. I think of you whenever I hear that song on K-Love…. 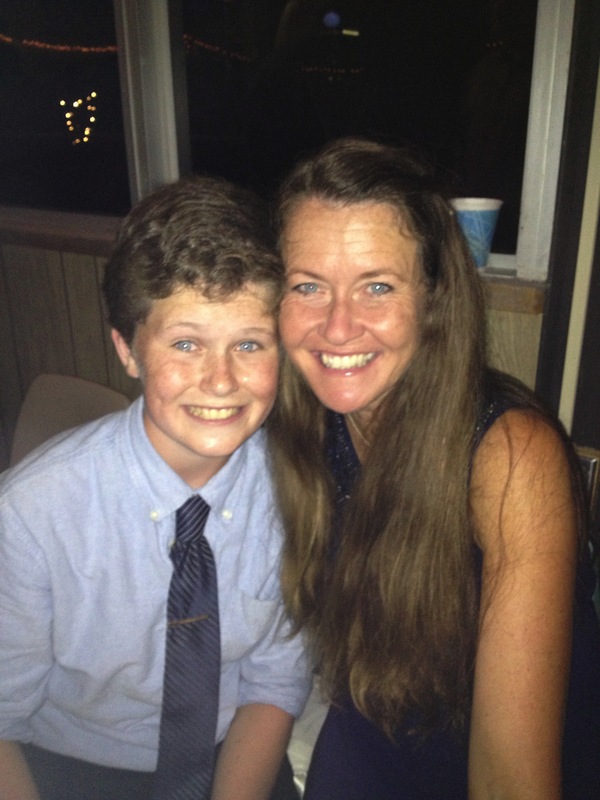 Great pix…..Glad your mom’s day was special….you sacrifice so much every day for your kiddos…. 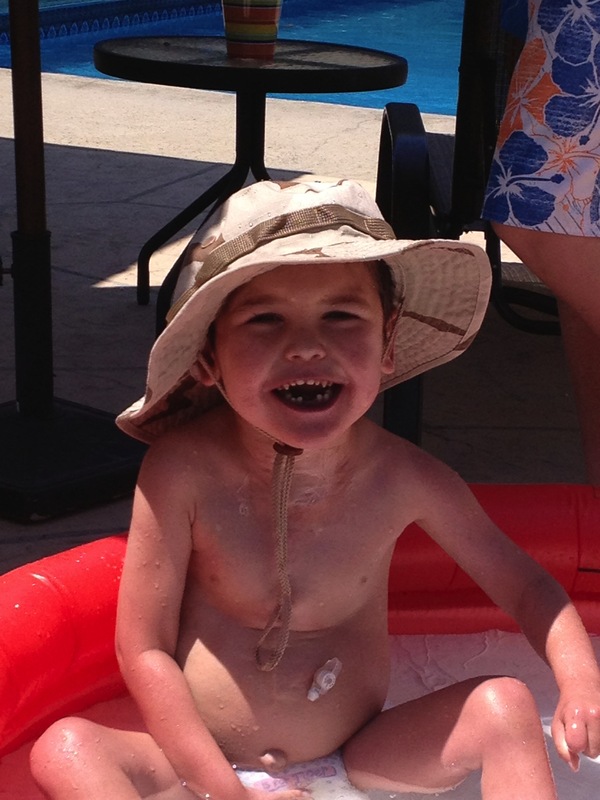 Big hugs to Rudy…..hope you’re in the pool today if it’s near as hot as it is here! Happy Mother’s Day, Trish! You are an amazing, wonderful, loving, giving, inspiring, beautiful woman. A wife, daughter, mother, sister, aunt, friend. You are beloved! Being “mama” to this daughter makes me so blessed that she came into our lives after two exceptional sons. Why did God choose to place them under our care? Because He doesn’t make mistakes! 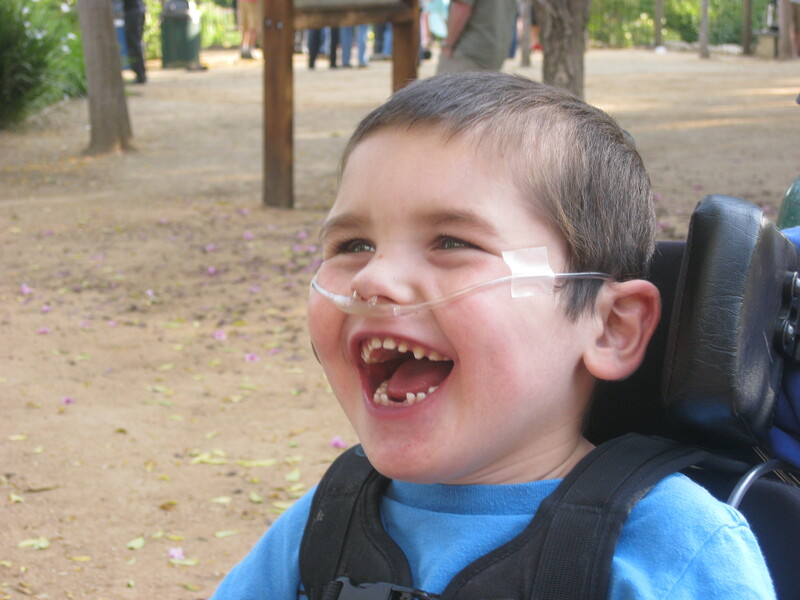 Thank you special children for completely fulfilling my life. So fun to read about your family. You are a Mom to be admired! What beautiful sentiments! Wilson looks so happy in his prom pix with his friends, what a good guy! (He’s come a long way from Dinosaur boy.) Livy looks so beautiful in her soccer pic! 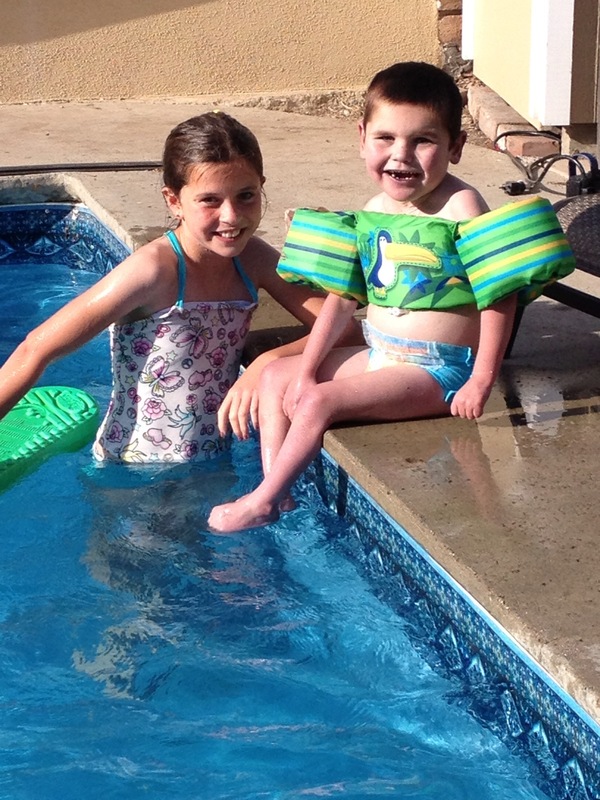 And Rudy… can he be immersed yet in the pool? He looks so cool in his walker! Love you guys! One of your best posts… made me laugh, cry, pray, and praise God for such awesome role models, women, mothers and wives. Thank you for sharing!